Thomas Michael Kristof, 62, died 2nd January 2019 in Medford, Oregon after a battle with cancer. Mr. Kristof was born on 12th June 1956 in Pasadena, California, to Patricia and Richard Kristof. Tom graduated from Eagle Point High School in 1974. 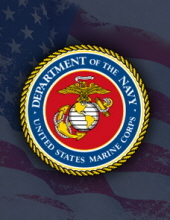 He joined the Marines right after, where he achieved the rank of Corporal E-4. He worked in the wood industry for 30+ years, where he was a Foreman for half of that time. Tom enjoyed hunting, motorcycles and the outdoors. He was always there for his children, who he loved more than anything else; Jacob, Jennifer and James. To send flowers or a remembrance gift to the family of Thomas Michael Kristof, please visit our Tribute Store. "Email Address" would like to share the life celebration of Thomas Michael Kristof. Click on the "link" to go to share a favorite memory or leave a condolence message for the family.